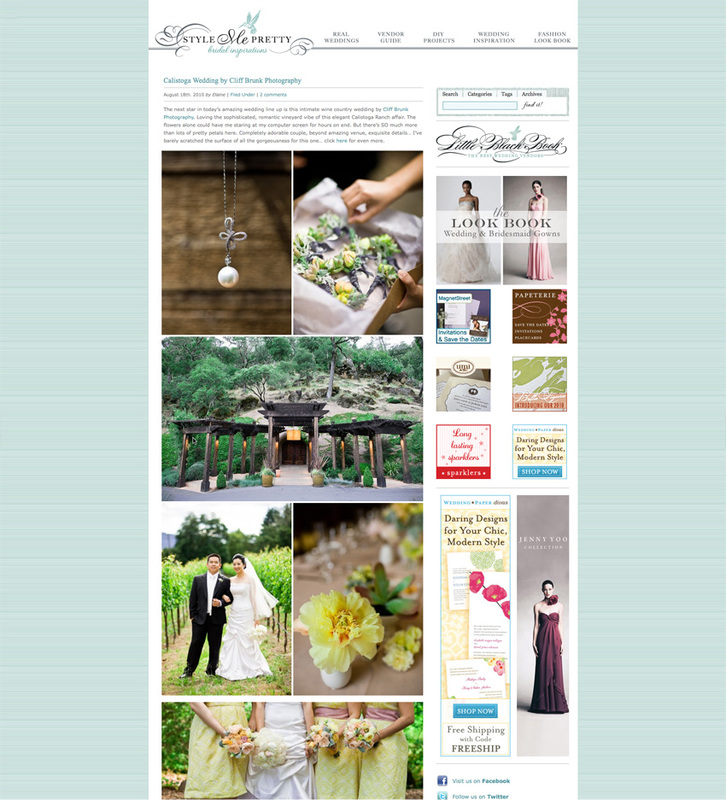 Chris and Jeff’s awesome Calistoga Ranch Wedding is featured on Style Me Pretty today! Thanks to Abby for the feature, and of of course to Chris, Jeff, and all of the vendors who made the wedding so striking! Betty - Happy Day! Thanks again! Cliff - Thank you for all the hard work on all the details!